Lyndsey was born and raised in Texas and obtained her Bachelor's degree from Texas State University. She currently lives in Anna, TX with her husband and son. She enjoys volunteering at her son's school and cheering him on at his sporting events. Lyndsey's background was in banking and recruiting, she transitioned into Real Estate to have more control over her career. 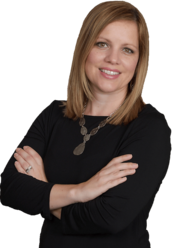 Whether you are a first-time home buyer or a seasoned professional, Lyndsey would love to help you buy or sell your next home.